. There has been a storm go through town last night that knocked out power to much of the area including the High School where tryouts were to be held. Watch the website for more details. 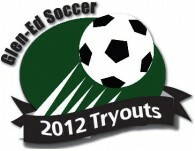 The Club added a Tryout Scrimmage for the U15 – U18 HS Boys on Thursday Nov 8 from 7-8:30.